Online maps are good at helping you get from point A to point B. But, as the saying goes, "Life isn't a destination, it's a journey." We decided that online maps needed more life. To use a traditional map you first have to know your destination. CityMaps is different. CityMaps will help you discover a new destination, activity, or event that you didn't even know about. That's something that would never happen on another online map. CityMaps is the first interactive visual map that displays business names and logos for every business in the city. Using the businesses as landmarks makes city navigation and discovery intuitive and easy. CityMaps not only shows you where you are, but what is happening around you right now. 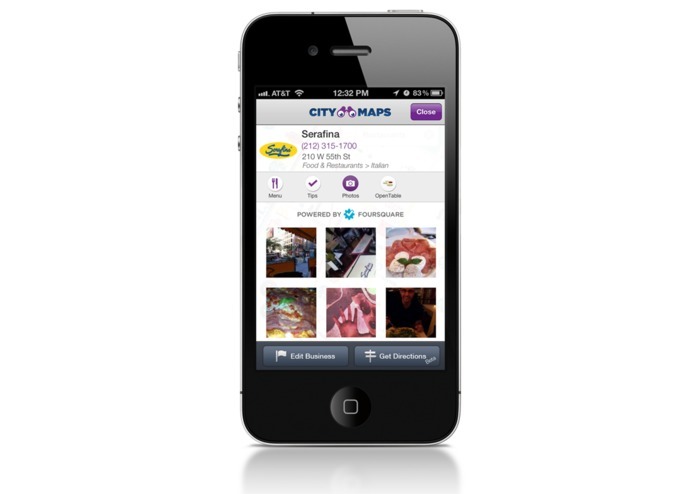 Tweets, daily deals, Foursquare tips, OpenTable reservations, Fandango showtimes & trailers can all be seen on CityMaps at a glance. Bringing in the best social content from the web and putting it directly onto our map completes the transformation from simple navigation tool into interactive social platform. The bar on the corner just tweeted an awesome happy hour special. And the comedy club up the street just posted a Groupon deal for 87% off. A quick check of the menu for the French restaurant down the block, look at foursquare tips, and then with a click your OpenTable reservations are made. Decide to take in a movie after dinner and you can easily buy tickets with up-to-date times and trailers linked to Fandango. Then check your subway line for real-time updates and services changes. All of this for you to discover on one map. Life is social. It's time your map was social. 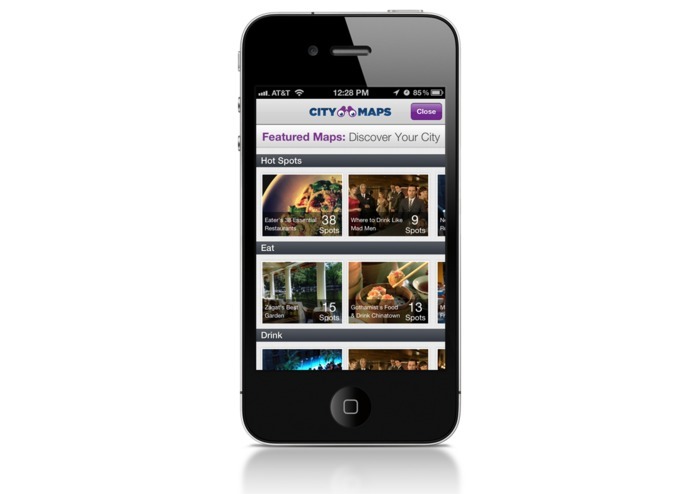 CityMaps is your first social map. Download it free in the app store, "CityMaps."